In the distant past, the roof served only one purpose: to protect the structure below it from the elements. These days, the roof does more than just that. Modern roofing systems are aesthetic components of the house that help establish its curb appeal. In this post, Kroll Construction discusses the past, present and future of residential roofs. The earliest kind of roofs were made with any materials our ancestors could find lying around. At the dawn of humanity, the roofing materials included earth and plants – both of which provided surprisingly good insulation. Glazed clay roof tiles were first used in China over 5,000 years and not long after that, the ancient civilizations in Babylon and Greece developed flat earthenware roof tiles. Then, at the height of Pax Romana, the Romans brought these tile roofs to England. Thatched roofs were first developed and used in 735 AD and served as the early predecessor of wood roofs. Proper wood shingle roofing systems were introduced 300 years later. The quintessential asphalt roof became available at the close of the 19th century. This particular roofing material became very popular due to the ability of manufacturers to produce them at a large scale. These days, homeowners have a plethora of roofing materials to choose from and thanks to advances in technology, classic roofs made from wood, tile and clay are better than before. Asphalt remains the most cost-effective choice but many are turning to metal roofs as a long-term alternative. As for the future of roofing in general, home trends are defining what the “new” residential roof looks like. The rise in contemporary and ultra-modern homes, for example, is seeing a surge in popularity for flat roofs and membrane roofing systems made from EPDM, TPO and Built-Up roofing. 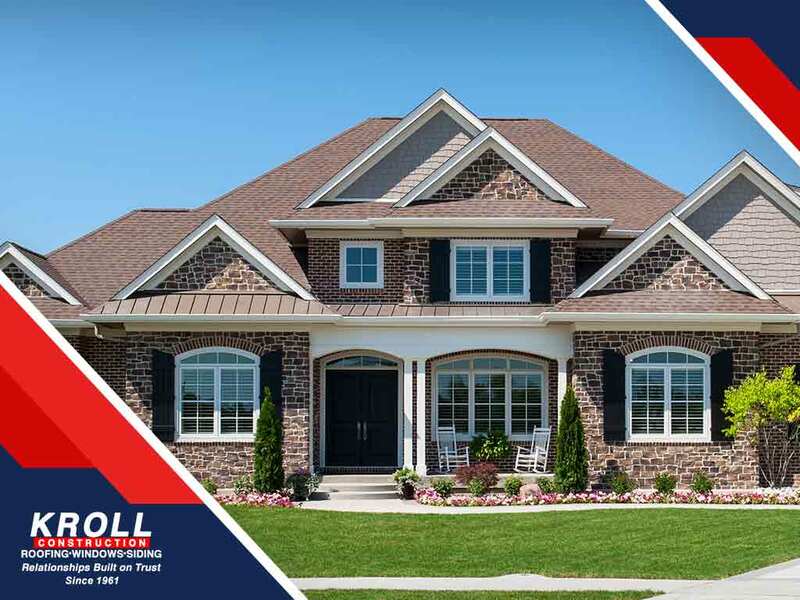 At Kroll Construction, we are one of the top roofing contractors in Detroit. We offer a full array of home repair, renovation and improvement services. Call us today at (844) 688-9632 to learn more about our services. We are local roofing experts in Detroit, MI.